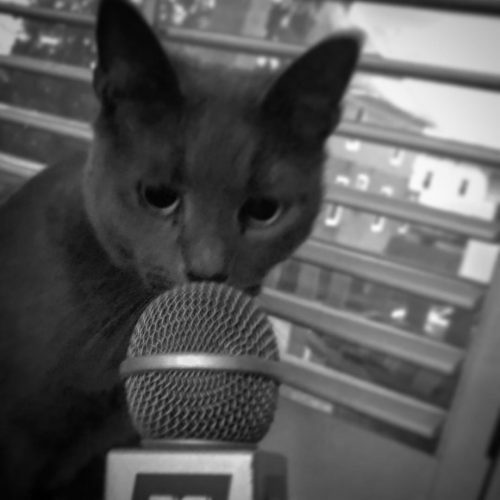 Lady Jean Grey Kranz flight director says “Purring is always an option”. Tough and competent purring. Wilma is our foster fail miracle. She was part of a bonded pair of foster cats that had an adopter. 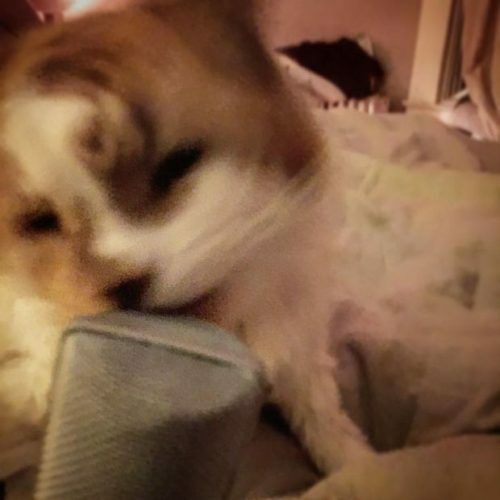 As we took her to be chipped as part of the final part of being adopted the shelter found a mass underneath her tongue consistent with an aggressive cancer. We talked with the potential adopter and they were not up for taking that on. Years later she is still with us and doing well. Currently she is on thyroid meds and a steroid for IBS. She is hungry all the time and we are just happy to have her around still. This week she has taken to curling up with the dog which makes the dog nervous but willing to cooperated with her for the shared nap times. Lady Momcat Jean Grey Kranz is what the shelter called a Chesapeake Blue which is fancy speak for a grey cat found on the streets of Baltimore. 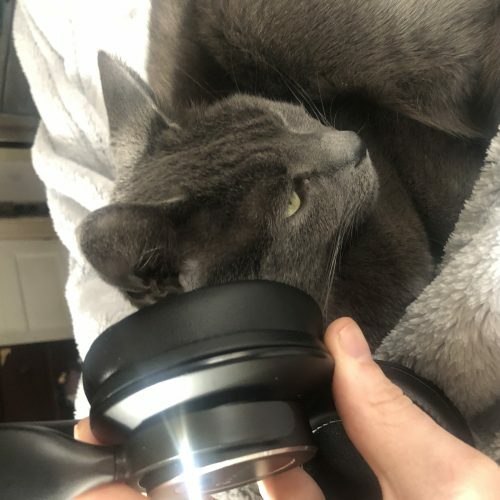 B Lamiuex is another one of Purrcast’s cat sitting featured feline’s. 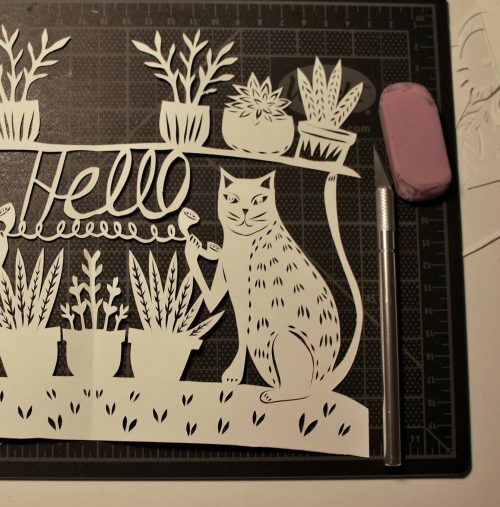 B is the house cat for Annie Howe Paper Cuts. 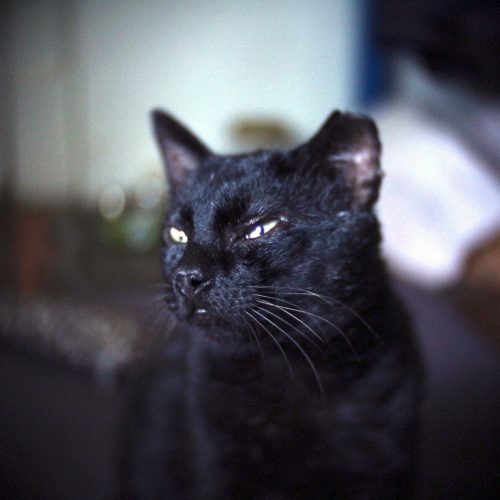 Shyhead came from a feral cat colony where he was kicked out for biting the care takers chihuahua. He knows life is good and purrs loud enough to show how happy he is with his current position in life. He is also the sweetest tomcat. Being top cat he is easygoing and confident so he wants to make friends with all the other cats. If there was a kitten in distress on the TV he would mount a rescue mission to find and save them. He is big, strong and gives great hugs. His foster parents renamed him Lou the Dude and he is living the good life with them now. Piglet purring on, let’s hear some purrs. Zafron is a foster from BARCS Baltimore Animal Rescue & Care Shelter. He is all long legs and love. Purrcast is all purring and love. 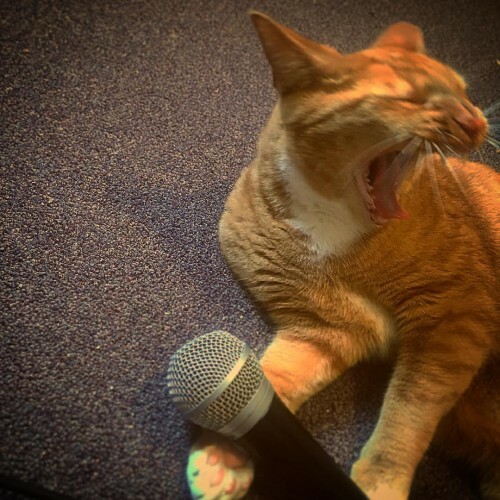 Please say hi and tell us about your cat’s purr on Twitter and support the podcast at patreon.com/purrcast where you can hear un-edited episodes and special content. 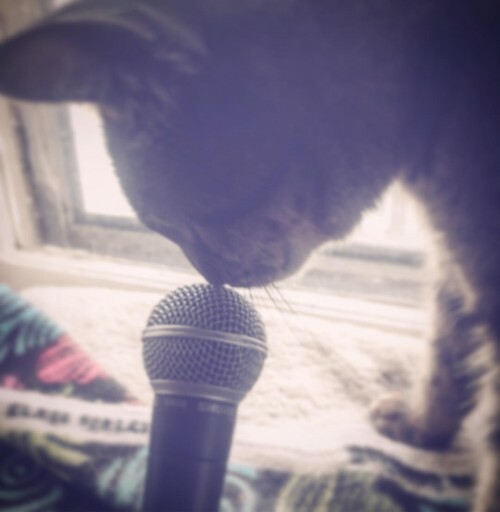 Thank you for listening to Purrcast. Gabby was adopted the day after Thanksgiving and is loving her new home. 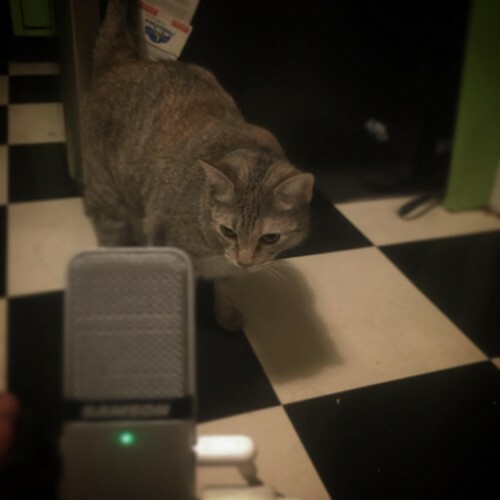 This recording is from back in the fall and you can hear squirrels in the background yelling at her as she watches out the window. 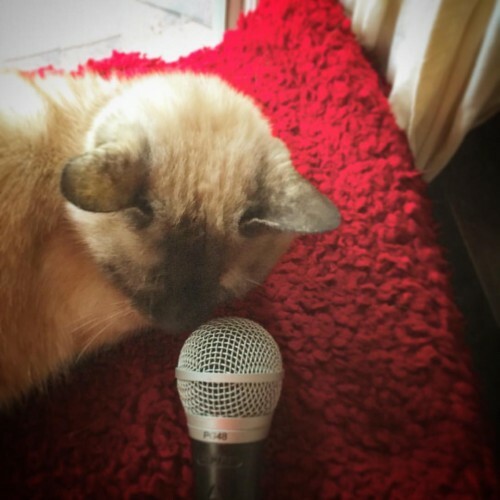 Purrcast is supported by Patreon donations at patreon.com/purrcast and kind words on twitter and iTunes reviews. Patreon supporters get early episodes and bonus content and kind words give me smiles. We picked Butterscotch as a foster because he had an upper respiratory infection and looked miserable. As soon as he got home he was so full of love he couldn’t walk straight. You can hear in his purr a little trill from the congestion. During his brief stay at the adoption center he was leaning in repose with his paws out of the cage receiving a line of visitors there to say hi. 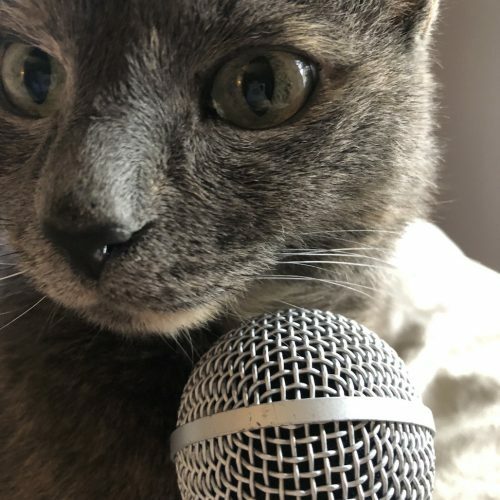 If you like Purrcast please share with a friend, write a nice review on twitter or iTunes or consider supporting us at pateron.com/purrcast.